The Onsrud 65-023 CNC Router Bit is used to cut multiple materials including Aluminum, MDF, Solid Surfaces, Soft Wood, Hard Wood, Plywood, and Hard Plastic. 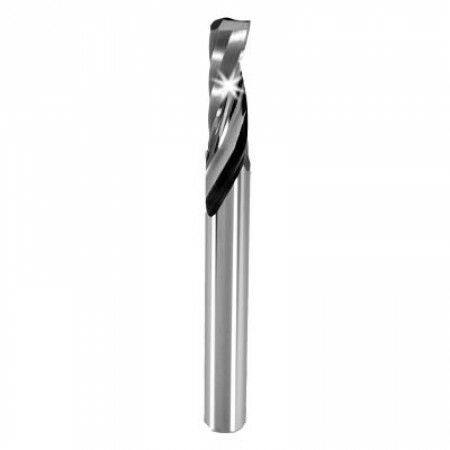 The bit has a upcut extra polished super o flute for a smooth finish, with an overall length of 2". This router bit has a cutting diameter of ¼”, a cutting length of 5/8”, and a flute/helix angle of 21 degrees. The 65-023 is a best seller for CNC router applications.